The world’s longest game played its 1,000th inning, completing it’s 10th straight year of 100 Innings of Baseball. This year, 21 Iron Men played the entire game, setting a record. 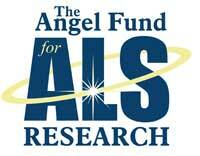 Fundraising for ALS, this year via The Angel Fund, has surpassed $560,000. Thank you to all the players, umpires, sponsors and contributors who have pitched in to make this game a success over the last decade! See the photo album from the 100 Innings of Baseball game in 2013.